“Inclusive education is the process through which schools develop systems, classrooms, programs and activities so that all students are able to learn, develop and participate together. In an inclusive school, the curriculum, physical surroundings and school community should reflect the views and characteristics of its students. An inclusive school honours diversity and respects all individuals. Inclusion does not mean treating people the same without regard for individual differences” (KHDA, 2015 ). 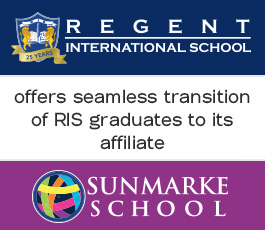 Regent International School is an inclusive, non-judgemental school, which exercises a positive admissions policy and considers every application on an individual basis. The Achievement Centre (formerly known as the Individual Needs Department) is a caring and nurturing department, set up and monitored by the Inclusion Leader, and co-ordinated by the Achievement Centre Manager. Our role in the school is to determine if and how we can best meet the needs of a wide variety of learners, so that all students can access an appropriate, meaningful, and suitably-challenging education. 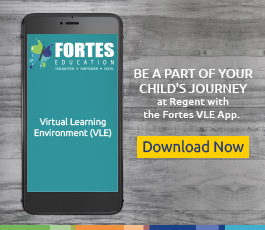 We assess each child’s individual learning, language, and social-emotional needs upon entry to the school, to determine the ways in which we can best support their progress, participation and personal development. Our specialist team works in partnership with class teacher, parents, and external specialists, to develop Individual Achievement Plans for students with Special Educational Needs and/or Disabilities. Targeted intervention, both within and outside of the classroom, is provided by our experienced team of Individual Needs Support Assistants, and/or the School Counsellor, as needed. Additionally, some students may benefit from a modified route to education, which may include an adjusted timetable, specific subject exemptions, and/or alternative-augmentative curriculum options. The Achievement Centre engages positively and proactively with parents and students, and demonstrates complete transparency in relation to our inclusive processes. To learn more about our Inclusion Policies and Procedures, please download the relevant documents here. Academic Workshops: during breaks and after-school hours, for students who need assistance to: revisit learning concepts, come up to speed with peers on a programme of study, or have questions answered. Enrichment Opportunities for our Big Thinkers and Dreamers (or ‘Gifted and Talented’), who show exceptional aptitude for a particular area of learning: These may include differentiated teaching to provide opportunities for leadership and innovation in the classroom; Lunchtime Enrichment Clubs to promote depth, mastery and advanced learning skills; and our wide range of extra-curricular activities and competitive opportunities to challenge these students further. Targeted 1:1 and small group interventions for English (reading and writing) and Maths. English Language Learner support: small group interventions for students whose English language skills are acting as a barrier to their curriculum access. Staff Counselling: students can turn to different members of staff for pastoral support. They can also be invited to join a lunchtime Nurture Group with the Positive Education Lead.